The Los Angeles Lakers' injury list could be set to grow longer, with Kyle Kuzma to have an MRI on a back injury. 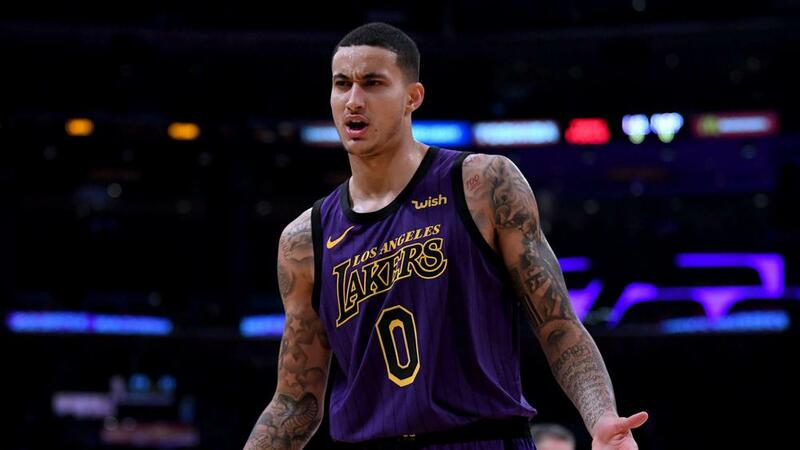 Kyle Kuzma will have an MRI on Thursday after sustaining a lower back contusion in the Los Angeles Lakers' 107-100 loss to the Oklahoma City Thunder. After just 16 minutes on court at Staples Center, the second-year forward – second to LeBron James in points per game for the Lakers this season with an average of 18.3 – was deemed unfit to return for the second half. Head coach Luke Walton was already without James (groin), Rajon Rondo (finger) and Michael Beasley (personal reasons) for the loss to the Thunder and will hope Kuzma does not make his injury list any longer. "He has a contusion on his lower back. He's going to get an MRI," said Walton. "He got hit somewhere in the game, something happened during the game. You could notice he was starting to limp in those last couple of minutes he was playing. "He said he was fine. They worked on it at half-time and just said, 'No go.'" The Lakers led by four points at the start of the fourth quarter but were outscored 29-18 and fell to a third defeat in four matches. Having also blown double-digit leads against the Sacramento Kings and Los Angeles Clippers in that run, Josh Hart admitted they are having trouble closing out matches without their senior figures. "I think some of it is experience. We don't have a 16-year vet [in James] and what's Rondo, a 13 or 14-year vet? That's tough," said Hart, who contributed 13 points and 15 rebounds. "Obviously, we have two or three-year players trying to close out games and it's something that's new to us. Obviously, we did a little bit last year, but this year we always had Bron [James], we had Do [Rondo], and guys like that to help settle things down and get us in the stuff. "It's still new, but I think we're all capable of it. But we just got to, when adversity strikes or offense is stalling and the other team is making a run, we've just got to do a good job of turning down OK shots for better shots, getting the ball going, defense going and making it easier for us."